Die neue zib: Why should IR scholars care about quantum theory? Benötigen die IB Quantentheorie und wofür genau? Was ist der Mehrwert dieses Ansatzes? Oder ist das nur eine neue Stufe des esoterischen Denkens in der IB, ein Profilierungsinstrument, um Distinktionsgewinne zu erzielen? No one would gainsay the significance of the quantum revolution for our understanding of the universe. The picture of reality that emerged in physics in the 1920s was so different than the previous consensus that philosophers to this day are still trying to figure out what it all means, and we have it to thank for the Bomb and the coming revolution in quantum computation as well. But that’s all in physics and its technological applications, where one would expect quantum theory to be revolutionary. How could there be a quantum revolution in IR? Indeed, given its sub-atomic subject matter, how could quantum physics be relevant to the study of world politics at all? The answer is that the significance of quantum theory lies not just in the new insights it provided into sub-atomic reality. That’s not to downplay the latter of course, but if the measure of a theory’s impact is merely its contribution to our understanding of the external world, then the theories of evolution, electro-magnetism, genetics, plate tectonics, and many other phenomena could equally claim revolutionary status. What really sets quantum theory apart has been its effect on physicists’ internal world, on how they think about thinking itself. In order even to describe, much less begin to understand the results of their experiments, physicists had to suspend laws of rational thought that before they had taken simply and utterly for granted, and in particular laws of logic and probability. Before the quantum revolution it was axiomatic that something cannot be both A and not-A at the same time; or that the total probability for any set of potential events must be 1. After all, logically, how could it be otherwise? Yet it turns out that, at least at the sub-atomic level, these and many other supposed a priori truths often do not hold. Thus, an entirely new, much more flexible logic – a quantum logic of both/and rather than the familiar classical or Boolean logic of either/or – had to be developed (1933), and a new, quantum probability theory too, both of which subsume their classical counterparts as limit cases. In short, Kant’s a priori turns out to be not so a priori after all, which as it turns out makes it possible to see things we never could before. Still, it’s one thing for quantum theory to force us to think differently about sub-atomic particles, and quite another about social life – much less international politics. Panpsychist philosophizing aside, that macroscopic leap is QMaSS’ (Quantum Mind and Social Science) key claim for social scientific purposes, and it is obviously speculative. And among quantum physicists themselves, I suspect most (but not all, as I show in the book) would be skeptical that their work has anything interesting to say to ours. So why are we even here? Because the failure of classical materialists to make any headway on the mind-body problem means that the classical orthodoxy is now itself speculative. And that in turn means that no one really understands why social science is fundamentally different than purely material science – which is that our objects are also subjects. Moreover, even as “objects,” social scientists are usually not primarily interested in people as objects in the material sense (height, weight, etc. ), but as intentional objects, as minds that contain objects of thought – which is clearly tied to consciousness. So in this light, if their explanatory failure has now convinced some of materialism’s own advocates to declare victory and go home by insisting that it – consciousness, not materialism! – must be an illusion, then that seems to me to constitute not only a profound intellectual crisis in modernity. It is also a problem for social scientists in particular trying to understand what it is that we do. On the principle then that desperate times call for desperate measures, enter quantum consciousness theory, the main hypothesis of which is that consciousness, defined in the phenomenological sense as felt experience, is associated with non-trivial quantum processes at the macroscopic level. What makes such an argument ultimately possible is that whatever might be going on sub-atomically, it is clear to all sides in the debate that it is not “material” in anything like the ordinary sense of the term. In effect, the quantum revolution washed away the ontology of hard, solid, and tiny little objects (“atoms”) that classical materialism was supposed to provide as a foundation for knowledge of the world. To be sure, this does not necessarily invalidate other, non-classical forms of materialism, since quantum processes too might be purely material in some extra-ordinary sense of the term. However, unlike classical mechanics, in quantum there is a gap within the formalism itself – the famous “quantum jump” – into which, because it has no apparent material cause, a truly non-material process might be interpolated: the collapse of the wave function. That gap is the key seam in the classical front – and hence the Schwerpunkt of my attack – because a wedge can be driven there between two concepts that, in classical discourse, are routinely conflated: ‘physical’ and ‘material.’ As I argue in QMaSS, about the quantum world one can argue that purely material processes are just a subset of physical ones, and that ‘physical’ (or perhaps now ‘natural’ would be better) might encompass processes that are fundamentally mental. In short, and ironically, whereas social theory can’t explain the subjectivity of its own subjects, human beings, our best physical theory has room for subjectivity’s essence, consciousness, at the bottom of the world (panpsychism). That this breach at the classical material/physical seam is not merely semantic becomes clear from what happens next. Quantum brain theory, if true, allows us to exploit and widen it by projecting fundamental consciousness up to the macroscopic level, and thereby enable a solution to the mind-body problem – and with it a proper answer to why the “objects” (sic) of social science are also subjects. But more to the point for most social scientists, thinking of people as macroscopic quantum systems has a clear observable implication that can be empirically tested: human behavior should follow the principles of quantum logic and probability theory, not just classical. In contrast, the axiomatic structure of expected utility or decision theory (“rational choice”) – certainly the best-specified and arguably the dominant model of man today – is wholly classical, i.e. the limit case in quantum decision theory. Quantum consciousness theory therefore does not just pose a substantive challenge to the rationalist model of man (like his old rival, homo sociologicus), but also an epistemological challenge to the very idea of what it means to think logically at all. To be fair, classical physics and logic were the only games in town when decision theory was developed. But still today, when social scientists study probability and formal theory in their graduate methods courses, the possibility that there could be anything but a classical treatment of these topics I’ll bet never comes up. It’s as if the metaphysical assumptions and cognitive habits of classical social theory – already sedimenting quickly in Hume and Kant’s time – finally froze completely right before the long quantum winter starting in 1900, and have never since thawed, even long enough for us just to ponder the question. As such, if consciousness does turn out to be quantum, then my prediction is that social scientists will face the same kind of sudden, mind-bending, gut wrenching, rethinking of thinking revolution which physicists went through a century ago. Of course the result was still physics, so in one sense “nothing much had changed;” but everything else had. But what is the likelihood that consciousness is quantum? At the moment we cannot know, partly because we lack relevant technology, and partly because it is impossible to derive “prior probabilities” that are unbiased by a materialist ontology and axioms (sic) of thought that are now themselves in question. So in the social scientific context this is not a typical Lakatosian problem where a theory like neoliberalism, say, with its strong, classical game theoretic basis, can be taken as simply given and the only question is how much a quantum approach adds to this knowledge. Rather, this is a Kuhnian problem, in which what was once the paradigmatic baseline may be reduced to a limit case and – more fundamentally – theorizing altogether different in logical form and structure will have to take its place. With no metaphysical background consensus to serve as an anchor, such a deep epistemic disagreement is impossible to adjudicate until after the fact, and so for now – whether implicitly or explicitly – we all just have to pay our money and take our choice. At a minimum however the dispute shows that the classical orthodoxy in social science can no longer just be taken for granted as the only rational way to think, but is itself a conjecture – and thus presumably falsifiable (right?) – about the nature of the human mind and behavior. What had been unimaginable in social science before – that logic itself (sic) would fail us – is now a possibility. So yes, proponents of quantum consciousness theory have a lot of work to do to convince skeptics that it is possible to sustain quantum coherence in the warm and wet, decoherence-inducing environment of the brain. But defenders of the classical status quo also now have some explaining to do, not only empirically (see below) but metaphysically, given the spectacular failure of their ontology to yield progress on the hard problem of consciousness – not just the very essence of the human condition, but without which we would have no “condition” at all. In QMaSS I offered two kinds of arguments for taking a quantum starting point instead. One, predominant in the book and suggested in the argument above (but worth summarizing here), was a chain of philosophical reasoning about the mind-body problem and its perhaps unexpected relevance to social science: 1) that the folk psychological language social scientists use routinely in our theories is indispensable and presupposes that our subjects are indeed subjects, i.e. conscious, not just objects; 2) that after centuries of trying to explain consciousness in classical materialist terms, it is time to conclude either that consciousness is an illusion (with major knock-on effects given ), or that with respect at least to the mind-body problem the classical materialist hypothesis has been falsified; 3) that unlike the classical worldview, the quantum has “room at the bottom” for consciousness at the fundamental level, which recasts completely the nature of the mind-body “problem;” 4) that the brain is capable of sustaining quantum coherence, which enables this fundamental consciousness to scale up to the biological level; and 5) that such an ontology produces novel and satisfying solutions to a number of long-standing problems in social inquiry. Personally I think that something like this philosophical argument – which doesn’t originate with me – is necessary to make sense of consciousness and by extension social life (and science!). However, it is not necessary to agree with my epistemic realism to think that it might be interesting and/or useful in the social sciences to experiment with quantum methods on a behavioral level. Yet, even such an instrumentalist approach to quantum social science would require heavy up-front investment in learning quantum logic and probability theory, which most social scientists will be understandably loathe to make without strong evidence of a subsequent – and big – empirical pay-off. That is what makes the work of mathematical psychologists like Jerome Busemeyer and others on quantum cognition and decision-making so important. Side-stepping the philosophical speculations of quantum consciousness theory, Busemeyer and a number of colleagues have run well-established behavioral anomalies in psychology against the predictions not of orthodox (classical) decision theory as usual, but quantum decision theory. And what their work shows convincingly is that the “Kahneman-Tversky” results – framing and order effects in survey research, preference reversals, violations in probability judgment, etc. – long seen as puzzling and troubling deviations from rational behavior, are precisely what we should expect from quantum decision-makers. To my mind this is a very powerful finding with far-reaching implications. Let me give one quick conceptual example that, while quite general, might be of special interest to IR scholars. Consider the simple sentence, and widely accepted starting point for theorizing in IR, that “states have national interests.” The sentence suggests a) that interests are properties that can adhere to or be “had” by an actor like a state, and b) that they persist through time, as in 19th century British Foreign Minister Lord Palmerston’s famous quip that “states have no permanent friends or enemies, only permanent interests.” Both are classical assumptions that look different in quantum perspective. To see this, consider the simpler claim that “individuals have interests.” Focusing on individuals will avoid the distractions raised by the question of whether states are persons and thus legitimate sites for attributions of interest at all, and intuitively individuals seem like a “harder case” for my quantum argument than states anyway. If for quantum reasons even individuals can’t have interests, then states won’t either. The classical worldview tells us that everything in our bodies must always be in a well-defined physical (here = material) state. This includes the subjectively experienced contents of our minds, which for materialists are just super-duper complicated parts of our bodies. So even if interests don’t feel well-defined, as in ambivalence for example, materially they must be. People therefore can “have” interests in the same sense that they have any other part of their bodies’ material constitution (like an arm or leg, but interests would presumably be in the brain). And from there, if interests persist through time, they can be treated as causal mechanisms generating our behavior, from the inside out so to speak. Empirically we know from psychological experiments on “preference reversals” that this picture of interests is problematic, and that actors instead often construct their interests on the fly, in ways that are very sensitive to how they are being measured and context more broadly. That is the behavioral puzzle that social scientists usually care about, but in light of QMaSS we can see it overlays another, physical, puzzle. Namely, if preferences are classical material states of the brain – and to my knowledge no one in the preference reversal literature has suggested that preferences are not brain states – then we now need to explain not only the instability of subjective preferences but the material instability presumably underneath them as well. In contrast, if human beings are quantum beings then both puzzles disappear. Individuals’ minds do not have well-defined properties in the first place but are rather superpositions of often contradictory states, and it is only when wave functions collapse in specific contexts of measurement that some of those potentialities materialize momentarily as actualities. This means that we cannot “have” interests in the classical sense – as well-defined properties of the brain – at all until we experience them in action. And by implication therefore, interests can’t be causal mechanisms explaining behavior, because they exist only in behavior, not before it. So should we abandon what the classical view of ‘interest’ was trying to get at – a force motivating action – altogether? No – we should quantize it instead. That means re-conceptualizing the traditional sense of ‘interest’ now as a wave function, and thus as a weighted potential, disposition, or propensity to constitute one’s actually expressed interests one way versus another, with Will as the teleological force that makes the final call. In IR we are usually more interested in corporate agents than individuals, but since our models of the former derive from the latter (“states are people too” and all that), the same thinking applies. To use quantum decision theory to model state action is to say that states do not “have” well-defined national interests except when they encounter particular contexts or interactions that measure them, and in so doing collapse potential states of the their “mind” into actual ones. So the point is not that national interests need to be “interpreted,” as if there were a real but unobservable entity there in the world waiting to be discovered. Rather, any more than individuals’ interests, national interests are not actually there in the world at all, except as potentials instantiated physically in the socially shared wave functions of individuals. The explanatory logic here is therefore not primarily inside out, but outside in, with the contexts in which states find themselves being crucial. I don’t know what realists or rationalists in IR would say about this conception of national interests, but to me it sounds more like the performative model of agency of a Judith Butler or David Campbell than the rationalist one of Charles Glaser or John Mearsheimer. The mention of Butler and Campbell here however raises a different problem, this time for my own perspective, which is that since I’ve suggested they developed an implicitly quantum theory of agency avant la lettre, what do we need an explicitly quantum approach for? Indeed, given that in QMaSS I argue that all intentional phenomena are quantum mechanical, and so the pervasive references to such phenomena in existing social scientific theories are implicit quantum references, evidently social scientists are doing just fine thinking in quantum terms without the “benefits” of formal training. So what really is the practical value added here? Going forward this is a crucial question for a quantum social science, and my expectation is that its answer will vary widely from case to case. That’s because it will depend heavily on how classical a field already is, which we can only really assess by doing what Busemeyer and company did. Namely, take some extant body of social scientific knowledge that is innocent of quantum theory, and then compare what we think we know on that basis – not just empirically, but also conceptually and theoretically – to what a more explicitly quantum approach would lead us to expect. In some areas (anthropology?) such classical-quantum comparisons might show that, like Moliere’s M. Jourdain, we have been speaking quantum prose all along. In others (neo-classical economics?) the classical worldview is explicit and institutionally embedded, and so the quantum challenge would be deeper. Either way, now that we have two, not just substantively but logically different models of man from which to choose, it seems like a long conversation will be needed to sort the mess out. So, why should IR scholars read this forum? Well, not because they are IR scholars, since there is nothing special about the implications of quantum social science for the study of international politics vis-à-vis some other area. To the extent that it penetrates IR, quantum theorizing would change how we “think about thinking” about international politics in the same ways that it would change thinking about thinking anywhere in the social sciences, which by way of conclusion let me briefly recap from the conclusion of my book. First, I suggested (more like hinted) that a quantum approach could potentially end the bitter dispute between positivists and interpretivists in social science, which I take to be the most obvious symptom that something is deeply wrong in the foundations of social inquiry. Their fight is at base about how or whether to integrate subjectivity into a naturalistic worldview – a local version of the mind-body problem. And because both sides have at least implicitly accepted the classical, materialist worldview, neither can account for the existence of subjectivity in the first place, and thus both in their own ways subtly (or not so subtly) extrude it – and therefore us – from their work. In wave function collapse quantum consciousness theory finds a place for consciousness in nature, and in so doing suggests at least two directions in which further work on social epistemology might go. First, as he himself suggested, Bohr’s concept of complementarity provides a natural place to start re-thinking the relationship between objectivity and subjectivity in quantum terms. Second, everything we have learned as a result of the debate about the Measurement Problem in physics tells us that, if social life is quantum then an epistemology adequate for its study will have to be inherently participatory, not objectivist. Fortunately philosophers and social theorists have written in recent years on both of these issues – but without considering how an implicit classical ontology might be affecting on their work. What would be instructive, therefore, would be to see how, or whether, the epistemology of social inquiry – our “thinking about thinking” – is advanced further by making these implicit quantum perspectives more explicit. Second, turning to ontology, quantum consciousness theory and semantics in particular provide a physical basis for understanding language as a truly non-local and yet fully contextual phenomenon. This is significant not only for debates in the philosophy of language, to which I gesture briefly in the book. The real import of quantum semantics is for social ontology as a whole, because language is the condition of possibility for and medium of all the institutions and social structures that we care about. The default ontology in most social science is some form of individualism, because – and it is a powerful intuition – by virtue of having skins human beings seem to have physically completely distinct bodies with no direct access to each other’s minds. In contrast, while fortunately (?) we still can’t merge our bodies, I argued that quantum semantics does entail that our minds are entangled – not materially but still physically. And that in turn supports a radically holistic social ontology in which human beings are not fully separable from each other and non-local causation (impossible in the classical worldview) is pervasive. In short, it is with the whole rather than the parts with which social theorizing must begin, because the properties of individuals’ minds – of agents – cannot be defined independent of their entanglement with their social context. Who we are, intrinsically, at any given moment depends quite literally, physically, on who we are with. Finally, it is not hard to see how such a holistic and downward (sic) social ontology could have significant normative implications for political and moral theory more generally. Consider Hobbes’ seminal conceptualization of the problem of order and from there the justification for the state, which starts with a world of abstract individuals in an asocial state of nature, where conflict is the norm and the challenge is therefore to explain and sustain cooperation. Note especially the role of Hobbes’ very explicit, classical materialist ontology in making such an individualistic starting point seem completely natural – and in so doing assigning the primary burden of proof to his opponents. The holism of a quantum perspective turns Hobbes on his head, by starting not with abstract individuals with intrinsic, well-defined properties, but people whose minds are entangled through language and acquire well-defined properties only in relation to others. On this view, “instead of seeing human beings as separate elements in causal interaction, we ought to see them too as correlated projections of a common ground,” such that conflict might be not the norm but the exception. The key question then is how strong those initial correlations are. In real life they will obviously vary from case to case, which is not helpful for general theory. But on the principle that everything regresses to the mean, perhaps for starters we should split the difference between the individualist Hobbes (entanglement score in the state of nature equals 0) and the holist Hegel (correlation 1? ), and see where 0.5 takes us? Taken together, these and many other potential implications of a quantum social science hardly seem like “business as usual.” Indeed, call me unimaginative, but a more profound transformation in the very idea of a social science is difficult to conceive. So the reason that IR scholars should care about quantum theory is because we are social scientists, who necessarily deal with issues that QMaSS suggests would be profoundly affected by a quantum revolution. 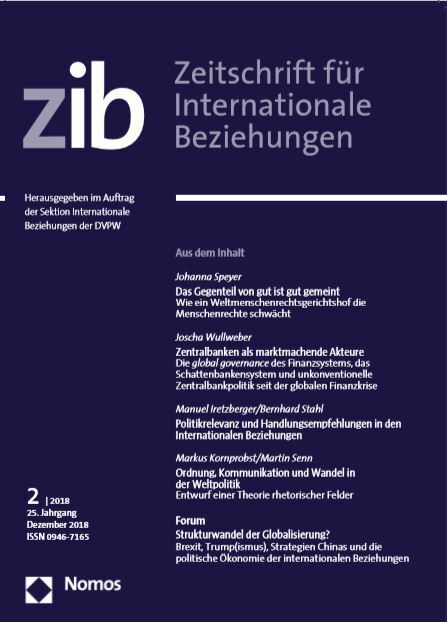 In that light there is no more reason to publish this forum in an IR journal like ZIB than any other, theoretically oriented social science journal; but no less either. I am grateful to Duncan Snidal for comments on the first draft of this essay. As James Der Derian has put it. For years Badredine Arfi has been telling me that in the end it’s all about quantum logic; I think only now do I appreciate his point. See Pitowsky (1994) for a good overview of the logical fundamentals underlying the two modes of thought. Gender and race are two important exceptions, where purely material considerations clearly play some role in constituting people, though what kind and under what conditions is hotly debated. German for the center of gravity (literally, “heavy point”) and thus most armored part of a blitzkrieg attack. See Busemeyer and Bruza (2012) for the first comprehensive overview, and for a quick summary and more references through 2014 see my (2015: 149-173). Arkady Plotnitsky’s long study of these issues, building on but going beyond Bohr to post-structuralism and beyond, would be a natural place to start. See Wendt (2015: Chapter 11). Pylkkanen (2007: 145); for further discussion see my (2015: 169-173) on quantum game theory. einige Schule haben mich gefragt, was Quantumtheorie und Komplizität mit der Internationalen Staatsbeziehungen zu tun! Ich konnte die Frage nicht genau beantworten! Könnten Sie mir bitte in einigen Sätzen diese mir in Deutsch beschreiben? Ich wäre Ihnen sehr dankbar! danke für Ihre Anfrage. Diesen Zusammenhang in wenigen Sätzen zusammenzufassen, wäre ziemlich ambitioniert. In ihren Forumsbeiträgen zur Quantumtheorie in der zib 2/2016 tun das einige Autoren aber etwas ausführlicher. Diese Texte finden Sie hier in der eLibrary des Nomos-Verlags.